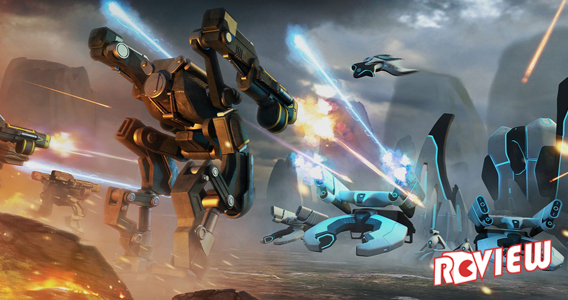 Out now is Grey Goo, and imaginative and clever real-time strategy title from Petroglyph Games. The title features a fifteen mission single player campaign, as well as online multiplayer in 1v2 and 2v2 varieties—as well as the option of custom offline AI matches. The campaign of Grey Goo is broken into three acts, detailing the trials of its three core species (if an all-consuming molecular super-sludge can be called a species). Each mini-campaign runs five missions and connects to an over-arching story. The setting crafted by Petroglyph is familiar—seeing three races brought together by circumstance in a far off sector of space—but refreshing in its execution. Featured within are the alien Beta, the futuristic humans, and the eponymous Goo—a self-replicating race of molecular machines. Interestingly, the Beta are presented as the most relatable, appearing as an underdog species in the early days of interstellar travel. Meanwhile, humanity has progressed so far as to become somewhat alien, and the eponymous Grey Goo, the fruits of humanity’s labor, even more alien still. 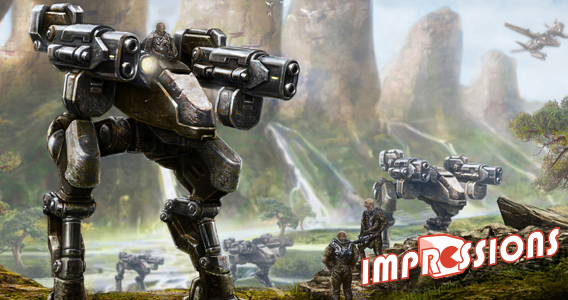 I recently had the opportunity to preview Petroglyph’s upcoming real time strategy title Grey Goo. The game is inspired by the hypothetical doomsday scenario of the same name, whereby self-replicating molecular machines consume all matter on Earth in order to fuel their endless reproductive cycle. Replicated here is the usual model that sees three opposing species pitted against each other, each with a unique set of features designed to alter the gameplay paradigm of a particular race. When it comes to RTS my approach is somewhat religious. That is to say, I am possessed of a fanatical devotion to one particular entity (in this case, StarCraft) and denounce all others. Grey Goo was immediately familiar in a superficial sense, but quickly distinguished itself with a number of unique spins on the format–and, interestingly, a focus on macro gameplay. 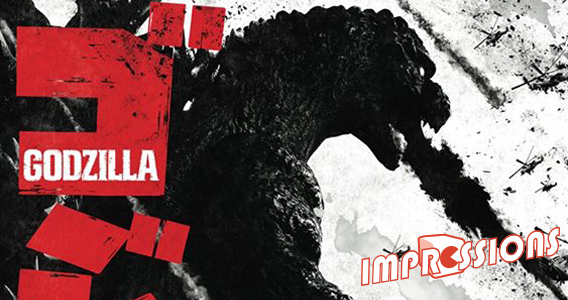 While Godzilla won’t hit North America until next year, the game is releasing for the PlayStation 3 in Japan this month. Bandai-Namco has a demo available via the Japanese PSN Store, and we’ve got some new video equipment to test out, so why not sit back, relax, hit play and watch me try to kill two birds with one stone in the most awkward way possible? I’m coming off of a two month long Smash Bros. bender, which is even longer if you count the time I spent feeding off of the slow-drip hamster bottle that is Sakurai’s Miiverse page. This is a great time to be a fan of 2D platform fighter games… that is, if you own any Nintendo hardware. 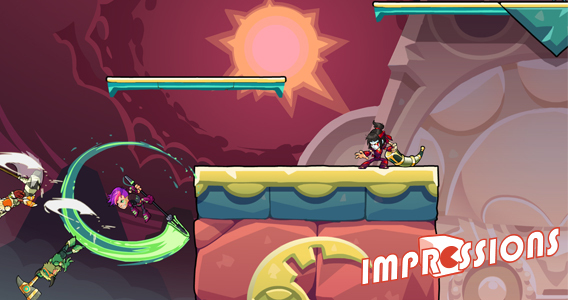 A game looking to amend that caveat is Brawlhalla, a fighting game similar to Smash Bros., but in lieu of Nintendo’s all-star cast of characters, it lines its roster with the greatest warrior archetypes in history, both real and fictional. Out now is the first episode of Telltale’s latest game series, Game of Thrones: Episode I – Iron from Ice. I have a track record with Telltale games that might be described as criminal; frankly, I have a tendency not to finish them. It’s not a matter of quality or even interest; I commend the storytelling of the titles, and the properties portrayed fall right into my realm of interest. I suppose the problem is merely that I have distinct times where I sit down to play games, and when I sit down to watch television—and a Telltale game exists in some unknown third state my rigid leisure time finds difficult to accommodate. 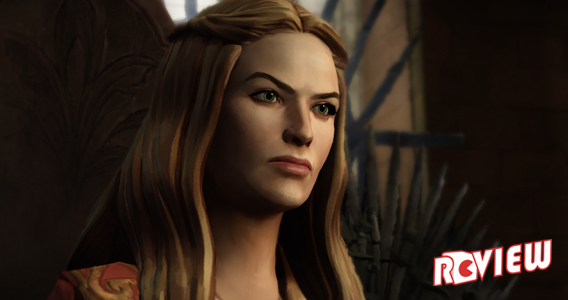 Telltale’s Game of Thrones, however, is a pairing that transcends such considerations. For the uninitiated, the title brings the dangerous, nuanced world of HBO’s Game of Thrones television series to life through Telltale’s (virtually trademarked, at this point) style of the choice-driven episodic point-and-click adventure. 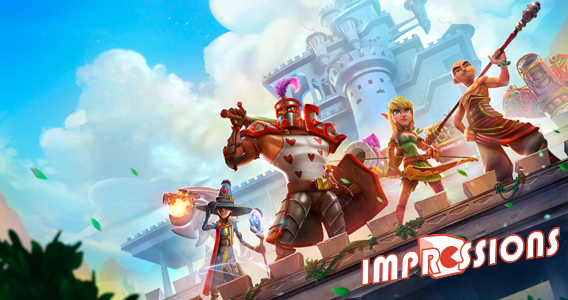 Dungeon Defenders II, a tower defense RPG from Trendy Entertainment, opens up for Early Access on Steam today. Early Access is paid, but at launch the game will be free-to-play — however those who invest in Early Access will receive in game currency and premium items to offset the cost (as those features are implemented). Sequel to Trendy’s 2010 original, DD2 mixes tower defense with action-RPG elements, comfortably merging melee combat with base-building. Games alternate between build phases and combat phases, where up to four heroes prepare for and battle escalating waves of enemy creatures. Although I could hardly describe any game from Platinum Games as perfect, I afford the studio a significant level of pedigree. With titles like Vanquish, Bayonetta, and even the underrated Revengeance, they have routinely provided unique, well-crafted experiences, carried on the shoulders of robust and complex gameplay systems. In theory, a technical brawler in the Avatar franchise developed by Platinum should have been an easy home run. 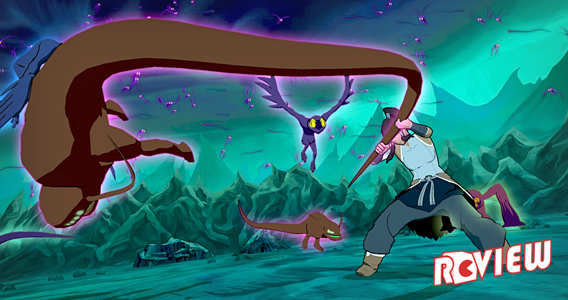 Instead, perhaps the most frustrating aspect of Legend of Korra is that there’s no good reason why it should be so frustrating.